“American Sniper” has overtaken “Saving Private Ryan” as the top domestic grossing war movie of all time. The Clint Eastwood drama starring Bradley Cooper has so far earned $217.1 million at the U.S. box office, surpassing Spielberg’s film, which earned $216.5 million in 1998. The Eastwood drama added 180 theaters in its third week of release, with “Sniper” now playing in 3,885 theaters. It overtook “Saving Private Ryan” on Thursday, and is on track to earn another $35 million to finish No. 1 at the box office for the third week in a row. “American Sniper,” starring Cooper as controversial sniper Chris Kyle, is leading one of the highest-grossing Januarys in box office history, with only the first month of 2010, dominated by James Cameron‘s “Avatar,” finishing higher. It still has a ways to go before beating “Saving Private Ryan’s” $482 million worldwide gross. 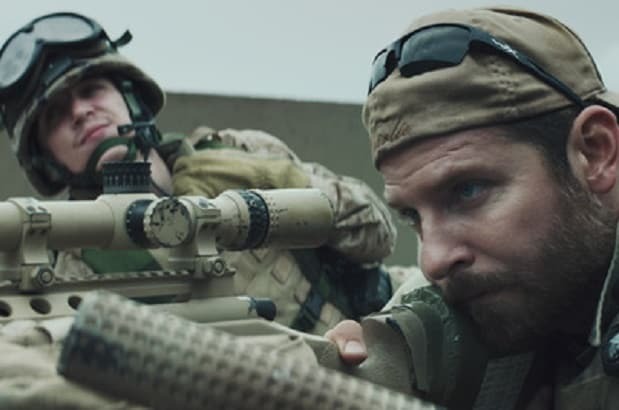 “American Sniper” is currently at $265 million.